…by my Evangelical mother and with the help of a few mediums, she delivered to me messages from beyond the veil that helped me conquer my fears, and live authentically in the world as the Witch in the family. Truly, since my mother died, our relationship has greatly improved! Part One: A Wish upon Dying, where I recount the tale of my difficult relationship with my evangelical mother, her sudden passing, and how she worked with me to plan her funeral back in 2007. Part Two: continued with Salvation of a Southern Witch, furthering the tale of how I was raised a Southern Baptist, and the existential crisis that comes from being a teenager who rejects her mother’s religion, and her mother along with it. Now that I have my own teen-aged daughter, I better understand the intensity of a mother’s love, and I feel remorse over my disrespectful treatment of my own mother when I was young. But to be fair, she was extremely difficult to live with because her fundamentalist Christian convictions were so entrenched. She had many loving and generous qualities, but those were hard to appreciate since it was her sacred mission to convert everyone within her reach. Unless we agreed with her on every political point spun by Rush Limbaugh, and every theological point spewed by Pat Robertson, she treated us as though we would be tortured in hell for eternity. In order for you to understand the miracle of redemption we shared through her death, you must first know who she was in life. Dec. 1st is World AIDS Day and I am reminded of a service in 2012 at the First Christian Church here in Greenville, NC, wherein my circle was invited to participate with the interfaith community. We offered to speak at the beginning of the service, with a Witchcraft-inspired “calling of the quarters,” without actually cutting any portals, because we didn’t have a circle constructed. As this was in the main sanctuary of a large protestant church, among people of many religions, we chose to write them like blessings, calling on the elemental powers to inspire us to create change in the world. I stood at the pulpit and spoke the words into the microphone, while my witchy-sister, DJ, stood on the stage with me, holding a large, hand-hammered, Tibetan singing bowl aloft and facing each direction in turn. As I finished each call, she would echo, “Welcome, Air!” and the strike the bowl, loud and strong, and we allowed the tone to ring free throughout the sanctuary until nearly silent. Then she’d turn, with former-Marine ceremonial precision, and I would continue the evocation. When I first stood up, ascended those stairs to the upper stage in front of this large congregation, and introduced us with, “We are here from The Sojo Circle, as practitioners of Modern Witchcraft,” my voice caught in my throat. I won’t lie, I was scared to shaking to say that out loud, in that building, to those people, and my throat chakra clenched down until it hurt. The wave of shock and clenching of sphincters in the pews was palpable, too. But I did say it out loud, with pride, and then I brought in the energies, and we created change…all of us, together. By the end, there was an unfurling, a relaxing into these hopes and dreams, as we visualized a solution, imagined an end to the suffering of our loved ones with HIV and AIDS, and a better world through inspiration, dedication, compassion, and justice. To this day, I am still approached by members of the community who first saw me there, at that service, in that pulpit, and they tell me how much these words brought them solace. I offer them to you today, with the holiday wish that they continue to ring out for LOVE. We welcome you to this sacred space. Come yellow dawn and soaring eagle. Come intellect, wisdom and clear-communication for the highest good of our community! Air! Open our minds and grant us understanding, and the knowledge we need to overcome this disease that threatens our kindred. Amplify our voices to be resoundingly heard. Help us to speak our truths even when it is difficult. Bring the winds of change! Let reason, and sensibility guide us in this battle we wage against the AIDS epidemic. Grant us also the power to WONDER, so that our eyes are opened to new ways of thinking, to relinquish judgement and the powerlessness brought by rigidity! Help us to discover new truths as they are revealed through our search for knowledge! Powers of Air, bless our researchers, scientists and leaders. Come red noon and baying wolf! Come action, transformation and change for the highest good of our community! Fire! Open our Will and grant us the energy and fierce passion to create change so that we may overcome this disease that threatens our kindred. Intensify our determination, give us the strength we need to keep up the good fight in this battle against the AIDS epidemic. Grant us the grace to surrender to the transformative fires that will temper us during this time of travail, burning away old behaviors, fears and outmoded ideas that no longer serve our highest good! May we align our personal will with the Divine will of love, healing and balance. Powers of Fire, bless our activists and warriors in their work for change. We welcome you to this sacred space! Come blue twilight and watchful crow! Come dreams, compassion, and empathy for the highest good of our community! Water! Open our hearts and grant us the fearlessness we need to DARE to break free from these banks that confine us, to overflow, cutting new trails, flowing past all social, institutional and human-constructed boundaries, without discrimination, washing us clean from our fears. Teach us your lessons of acceptance for all our brethren with unconditional love. Let these waters of love raise us all up, ebbing and flowing in the surety of your cycles, so that we will be victorious in our battle against the AIDS epidemic. Grant us also the grace of acceptance. May we understand and honor where we are NOW in this battle, and all that we’ve already accomplished, so that we may determine how best to get to where we need to be. As we grieve for our lost loved ones, and care for those who are suffering, may we all find comfort, peace and rest on the journey. Powers of water, bless our healers and spiritual leaders in their work. Come black midnight and slumbering bear! Come stability, foundation, manifestation of all that will serve the highest good of our community. Earth! Open our ears and grant us the silence we need to Listen as The Divine answers our prayers, to trust in the process, to be patient. Allow our bodies, minds and spirits the opening to potential, and the broadening and deepening of our trust in one another. Grant us also the ability to hold this space of ultimate potential, so that we may bring forth possibility from that void; help us find the light in the darkness. Grant us understanding that in all of nature, life is a cycle. For every down-swing, there must be an upswing. 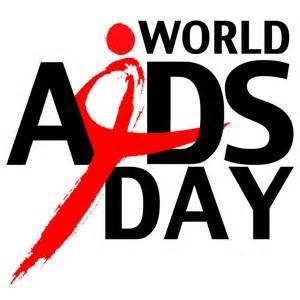 For every death there is a birth and we will overcome all adversity in this battle against the AIDS epidemic! Powers of Earth, bless our law-makers, civil-servants and builders in their work. Blessings of the Center! Great Spirit within us, around us, weaver and woven one, dreamer and dream! One Source known by many names and many faces, envisioned now in the minds of each of your beautiful children in this sacred space. Nurture and protect us, awaken within us your unconditional love. Awaken within us that connection that we all share. Empower us all as we fulfill your great work within our community. Be with us now in this sacred space! Dear Santa…I need a break. and make a break for it.